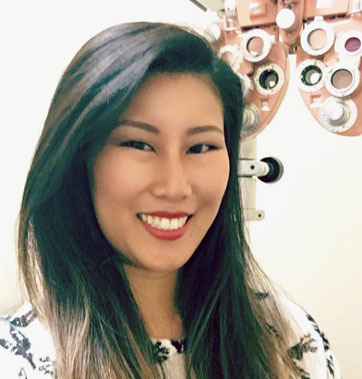 Dr. Stephanie Lew received her bachelor's degree from the University of California, Davis, and her Doctor of Optometry from the Southern College of Optometry in Memphis, TN. Dr. Lew’s professional memberships include the American Optometric Association, the California Optometric Association and the Alameda/Contra Costa County Optometric Society. Dr. Lew loves to eat and cook. She loves trying new recipes at home and especially enjoys exploring new restaurants with her husband. They often go to San Francisco for the sole purpose of eating a good meal. She is an active runner and also enjoys the occasional spin class to burn off all that food.